I find that most -esques are misunderstood and misused as time wears on, so I was surprised to do a quick Google search on "Capraesque" and find the above definition at the top of the list. I would say that, based on some of the director's most successful and beloved, it's a relatively accurate summation of what makes a Frank Capra movie tick. Usually, when I see the tag bandied about, the intention is to suggest that a movie is overly optimistic, that it shows a particularly cheery view of life where someone triumphs and learns a moral message. This particular shading is based primarily on It's A Wonderful Life [review], and it has some basis in truth. It's just not the whole enchilada. You impressions might be different, though, if you stick with Capra films from his pre-WWII period. It's a Wonderful Life was released in 1946, but all of its important components were starting to be designed as early as 1932, when the director helmed American Madness, part of a string of movies at Columbia Pictures that would embody the true definition of Capraesque. The more nuanced explanation of what that descriptive entails is as follows: in a Frank Capra movie, there is a clear distinction between the little man and the big man. Any big man who crosses over to try to lend a helping hand to the little man will often be scorned as crazy. Usually, the enemies of such social upheaval are the powers that be in business, the moneymakers who have no concern for the well-being of the common populace, not so long as their coffers are still being lined. When the hero goes up against these paragons of business, it's not just an economic battle, but one of common sense vs. a world gone mad. When the do-gooder is on the brink of absolute ruin, he discovers that his efforts have touched more people than he could ever have dreamed, and his friends and those who have clasped their needy mitts in his helping hand rally to rescue him from destruction. That is probably the true message of a Capraesque movie, from American Madness onward. No man is poor that has friends. Many of the famous Capra characters say as much. In American Madness, Walter Huston's banker argues for extending loans to those in need because they are decent people who will help the greater good in return, and the message is locked right in the title of You Can't Take It With You. But perhaps Gary Cooper sums it up best as the eponymous Mr. Deeds in Mr. Deeds Goes to Town. As he looks over the New York skyline, lost deep in the romance of the city and Jean Arthur, he wonders what a great world it might be if folks everywhere just remembered to like each other. In Capra's way of things, the mob is its own worst enemy as well as the greatest agent of change. It's all a matter of choice. It could just as easily go bad, and it's up to an individual dreamer to be the catalyst for it going right. That's actually where most modern storytellers who tilt at the windmill of Capraesque go wrong. They mistake Capra's belief in the power of the individual for a simplistic worldview. Frank Capra didn't trade in blind optimism. His characters don't stupidly grin through the rumbling as the walls tumble around them. Because in Capra's movies, the walls do indeed tumble, and the threat of failure is a real and heavy one. His heroes are often struck down as low as they can possibly go. Huston contemplates suicide, Mr. Deeds would rather be declared insane than deal any further with a savage, heartbreaking existence. To put them up against any less would be false bravado. We can only tell who you can count on by how they fare life when it's hit the absolute bottom. 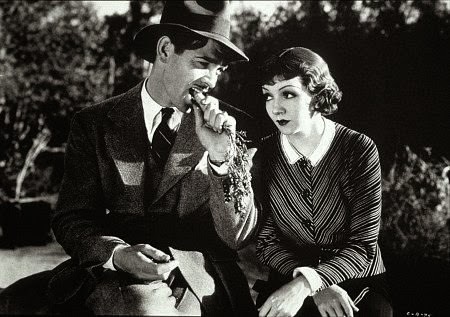 And then there's It Happened One Night, released in 1934. The movie responsible for Bugs Bunny! Friz Freleng has noted on several occasions that the fast-talking manner of the rascally rabbit is based on Clark Gable's performance in this picture, right down to how he eats a carrot. This is a fitting development, as It Happened One Night is often cited as setting the standard of screwball comedy. Claudette Colbert plays Ellie Andrews, an heiress who has eloped with a rich aviator. When her father (Walter Connolly, Twentieth Century ) vehemently disapproves, she runs away, starting an interstate search stretching from Miami to New York. 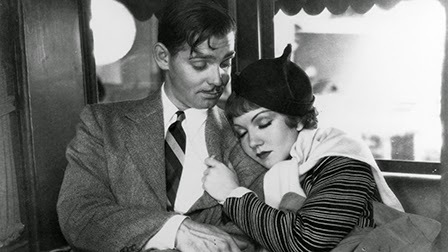 On her bus ride, she meets Peter Warne (Gable), a tough-as-nails, take-no-crap reporter who begins the picture quitting his job during a drunken phone call. Realizing who Ellie is and seeing she has no idea how to function in the real world away from daddy's money, he attaches himself to her and promises to get her to her husband if he can write the exclusive story. Their many high-speed arguments are delightful, and the pair handle the razor sharp dialogue with aplomb. They also get the emotion right, and filmmakers and actors are still trying to replicate the way Peter and Ellie go from hating everything about each other to being absolutely in love. 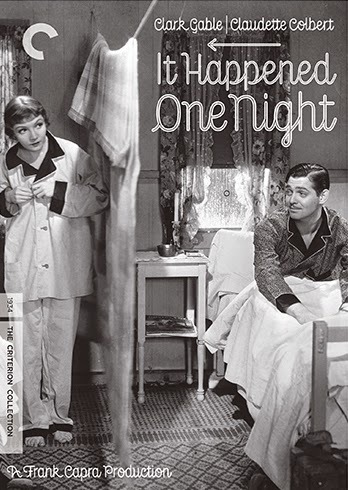 In It Happened One Night, the social element isn't nearly as prevalent. The ills of Depression-era America do show up, particularly when the couple donates the last of their money to a starving mother and child on the bus, but this is more of a private revolution. Ellie is going to have to learn to be a real person, to care about what happens around her, something even her father will push her towards. He'd rather see her follow her heart than hook up with some oily flyboy. Capra and Riskin play it smart, avoiding one-dimensional characters. Peter believes in the common good, but he's also not above being self-serving, and though Ellie is out of touch, she has a heart. Being able to capture multiple dimensions is why Capra and Riskin's work together still endures. Included in this edition is the 1997's Frank Capra's American Dream. Ron Howard narrates this feature-length documentary about the filmmaker made for the American Movie Classics cable channel. 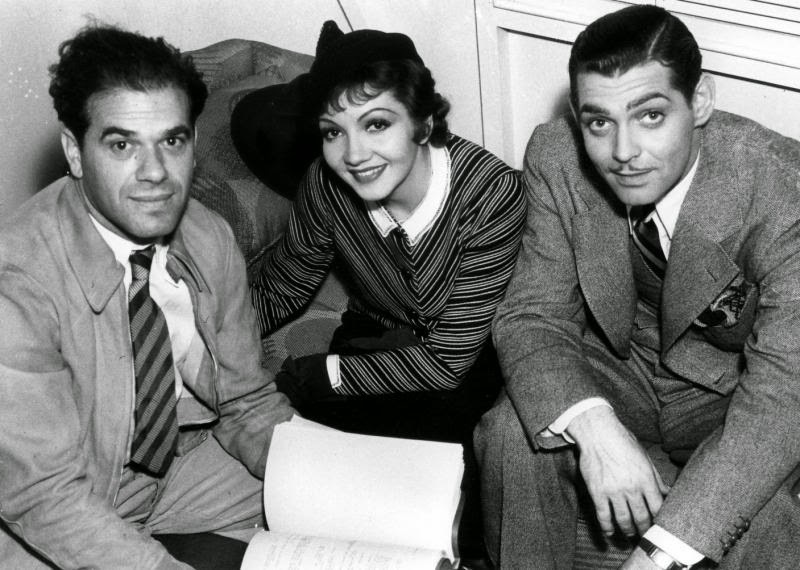 It features a host of critics, colleagues, and contemporary actors and directors discussing their love of Capra's movies. The roster of directors alone is impressive: Martin Scorsese, Robert Altman, Oliver Stone, Arthur Hiller, John Milius, Amy Heckerling, and many more. The documentary traces Capra's life from a young Italian immigrant growing up in California to his early days as a director, the films he made for Columbia, his service in WWII making films for the Army, the post-war success, and his twilight years. Where Frank Capra's American Dream succeeds tremendously is in rooting out the various events that influenced the director's world view, how an incredibly complex person came to make movies about such complex ideals. In many ways, his heroes were cast in his own image: a man who fought on despite self-doubt and personal failure, who wasn't sure he believed in what he was fighting for but had to see it all the way through. It's a fitting capper for the Premiere Frank Capra Collection, bringing the definition of "Capraesque" all the way to the front as not just an genre aesthetic, but one man's personal storytelling philosophy.